Take the plunge and experience new adventures with PADI Specialty Courses. Completing a specialty course will open up new opportunities for you to explore and continue your diver education. As well as perfecting your skills in each area of diving that interests you, specialties can count towards your next certification such as Advanced Open Water Diver or Master Scuba Diver. If you’ve already completed your Advanced Open Water course you can get credit towards certain specialty courses! Contact Us for more information. Different specialties require different levels of certification as a pre-requisite. For most you need to be a PADI Open Water Diver. Check the PADI flowchart below or check the page for that particular specialty for more details. Contact Us if you have any questions or if you would like some more information. 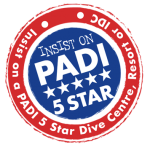 All PADI courses and programs require you to answer a medical questionnaire. Please take a look at the PADI Medical form to find out if you should be examined by your Doctor before participating in Recreational Scuba Diving. Click on any of the specialties above for more information. 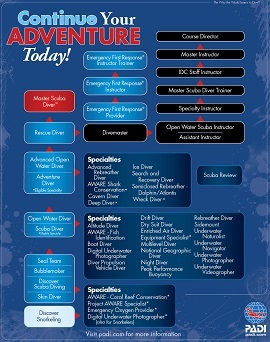 See the full range of PADI Specialty courses available on the PADI Flowchart above. Contact Us for more information on any of the specialties. All diving Specialties are between two and four dives. These can all be completed in 1-2 days. Non diving specialties such as Emergency Oxygen provider and AWARE Coral Reef Conservation can be completed in one day. The price per specialty is 5.000 to 7.500 Baht. Ready to make a start on some PADI Specialty courses and work your way towards being a Master Scuba Diver? 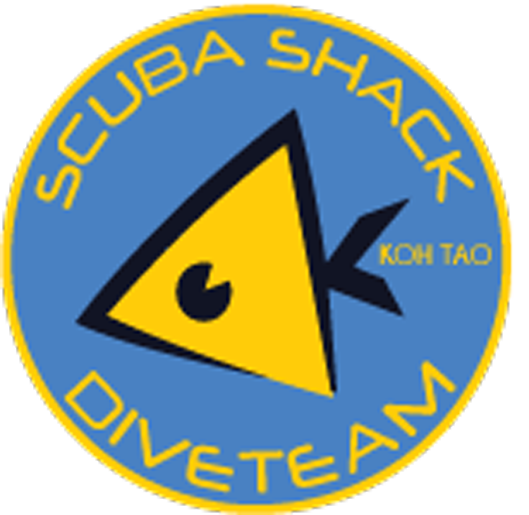 Contact Us for more information or to book your Specialty course with Scuba Shack, Koh Tao.